We’ve seen a number of lovely ladies step out in Off-White in the last few weeks. This time, it was Demi Lovato seen out in the streets of New York City on Friday (September 29). 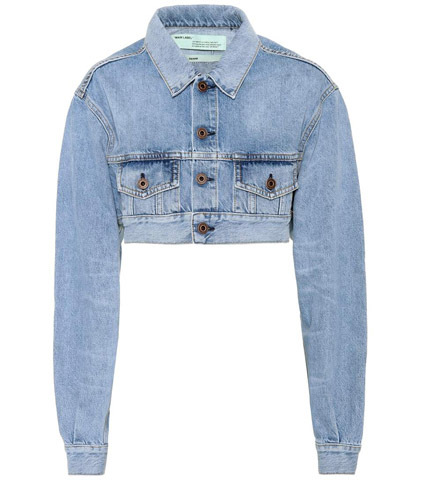 Mixing denim and plaid, the ‘Tell Me You Love Me’ singer wore an Off-White Fall 2017 dress with a cropped denim jacket. She styled the light-wash jacket so it was hanging just off her shoulders, revealing the strapless neckline of her dress. 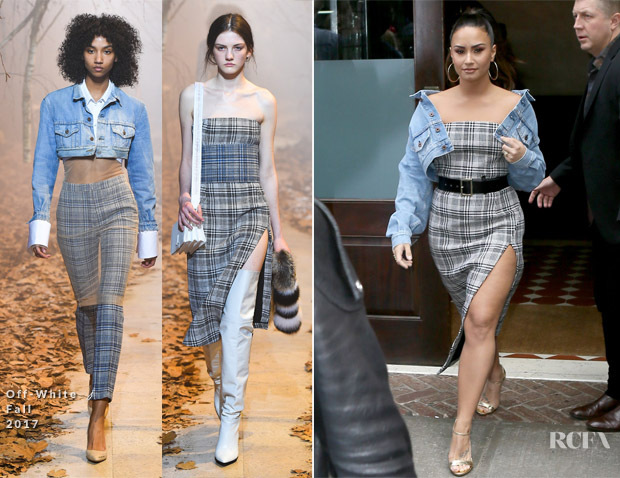 Demi put her own twist on the pieces by giving them a glamorous finish with Casadei ‘Blade’ heels, a waist-cinching black belt and large hoop earrings.